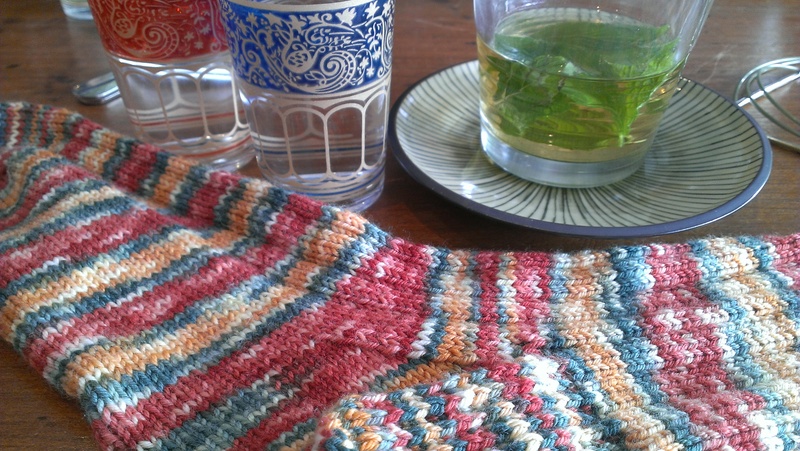 Before the end of the year, we had a trip to Melbourne and I finally finished some socks I’ve been carrying around for quite a while. the triumphant moment when I grafted them occurred in a wonderful tea house our niece took us to. She humours me as much as her aunt, so I recorded the moment for posterity (that would really mean, your viewing pleasure). I should admit that I don’t drink tea, so was very surprised to find myself relishing an iced peppermint and liquorice tea. It was a lovely afternoon. I have also finished the last of 2014’s (or was it 2013’s?) 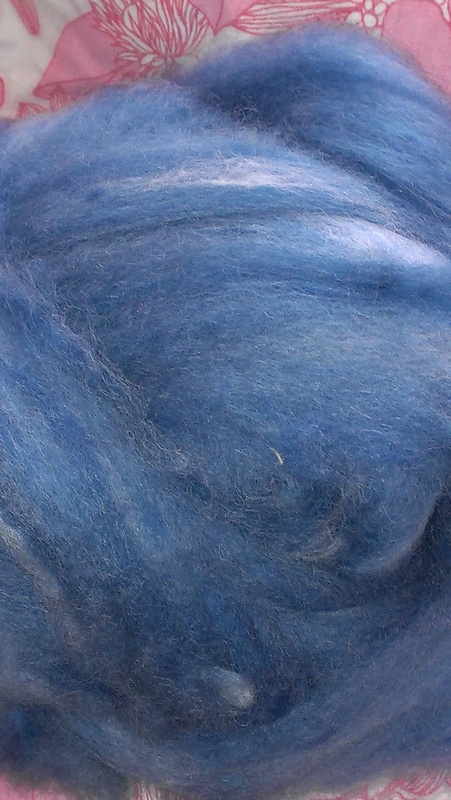 indigo dyed wool. 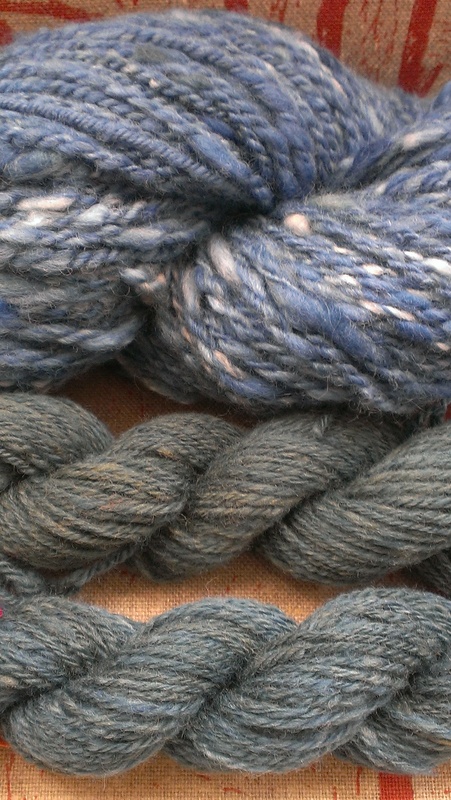 The last was polwarth. 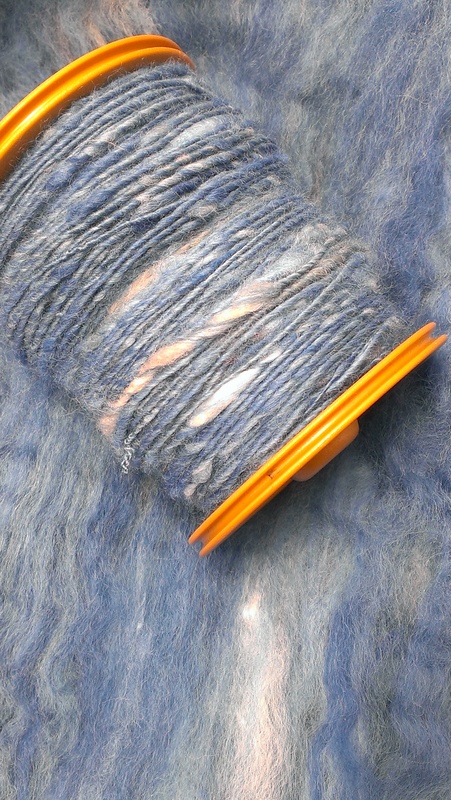 I seem to recall I ran out of patience, which is always bad when you are handling wet wool, worse with fine wool, and possible only made still worse if also dealing with indigo. 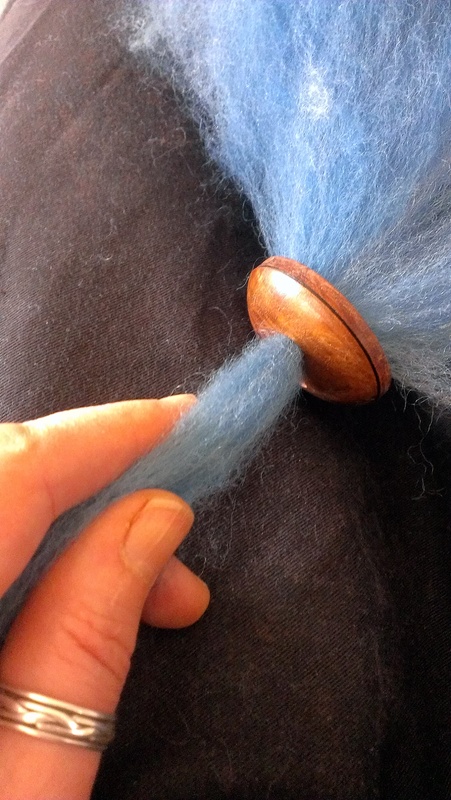 Let me further confess, some felting resulted, which will not surprise other spinners. This was the last of it, and I decided to just card it up and spin it lumps and all. I have been drawing batts through a diz to make a roving. So, here they are. The last 3 skeins… all different shades, some first dyed with coreopsis or osage orange, and some involving quite a bit better spinning and plying than others!